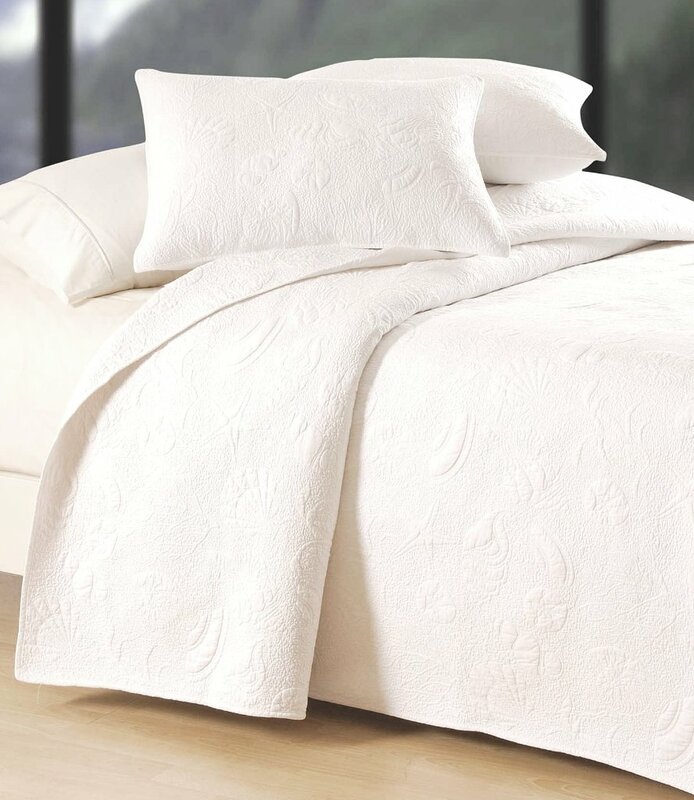 Decorate your bedroom or beach house with this elegant yet casual white-on-white quilted matelasse quilt. Equisite detail in the intricate quilting with beautiful white shells (clams and sand dollars), coral and flowing sea leaves on a crisp white background. 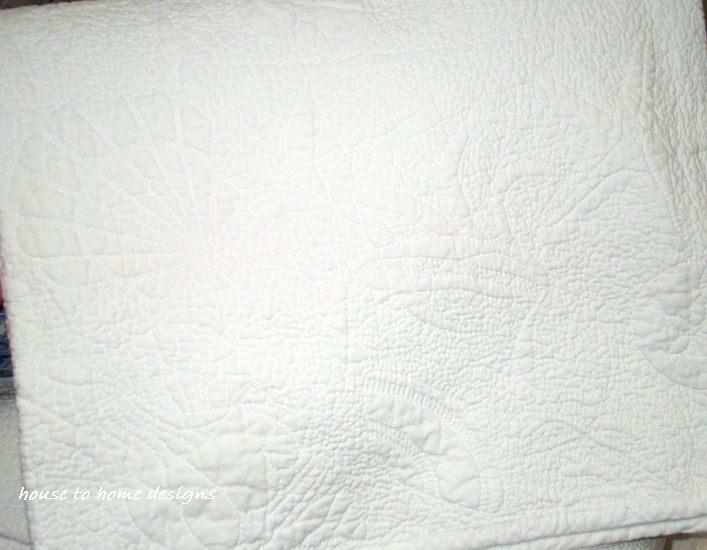 Can be used to add beautiful layers and accents to your favorite quilt or on its own. Prewashed from the manufacturer to provide a luxurious softness. Note: this item is a Quilt (not a coverlet) and will not hang to the floor as shown in the image above, but will hang about midway down the side of the bed, depending on mattress height. Queen Quilt 90 x 92 in.